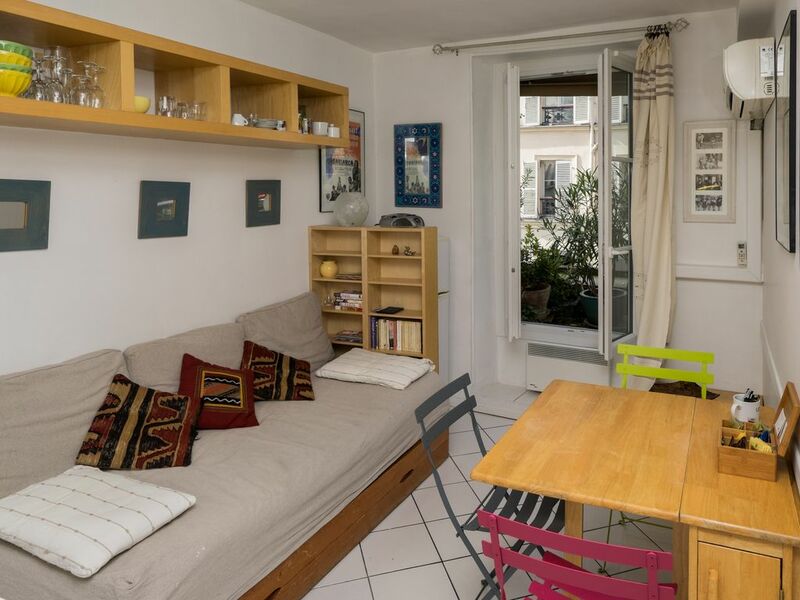 This furnished 2 rooms flat is located rue Lepic just in front of "Amélie" café (famous film)in the Montmartre section of Paris. The district of Montmartre and art are inseparable. At the end of the 19th century, this area was a "mecca" for artists writers and poets. Montmartre maintains its phisycal charm and the village atmosphere remains remarkably intact. There are spectacular views of the city from various point, espacially from the monumental Sacré Coeur Basilica. One of Paris' most picturesque squares is the Place des Abbesses with its original Art Nouveau Metro station. There are all sorts of essential shops and services in the neighborhood such as the picturesque fruit and vegetable market situated on Rue Lepic. Several café, restaurant, fashion boutiques in this area.